Stroll through any of our skilled nursing homes, or assisted and independent living facilities and not only will you see quality care in a professional and supportive manner, you will see a better way in providing senior healthcare services in warm and supportive community settings. We invite you to take a tour through any of our Elim campuses. You will see a better way in providing senior adult services. Through our service offerings, we strive to meet the healthcare and housing needs of senior adults, at whatever level of care they need. When two organizations become one, they face the exciting and vital task of creating a name. Augustana Care and Elim Care especially wanted a name to reveal the values and mission of both nonprofit eldercare providers. To make sure a wide range of stakeholders and employees were included, Varsity Branding was engaged. The new name, Cassia, conveys the preferences of a majority of more than 900 people surveyed during the past several months. The name was inspired by anointing oil made from the bark of the Cassia tree and referenced in the Bible several times. It evokes both organizations’ commitment to healing, wholeness and our quest for solutions that help those we serve to live well. According to sources familiar with ancient oils, Cassia is said to symbolize the heart of a servant. Dave Saemrow, Vice President of Marketing and Public Relations, reveals our new organization name; Cassia. Our new logo was created to convey a drop of oil. Within the drop is the familiar form of the cross, which embodies the strong Christian heritage of the new organization. The stained glass colors and shading within the logo are also designed to reflect this heritage. In addition, our name signifies our commitment to compassionate service to all people, as modeled by Jesus Christ. 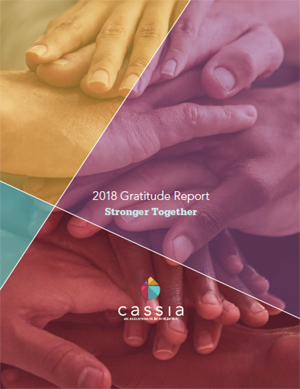 Cassia’s unique strength, according to CEO Bob Dahl, is the fact that by and large, the personal experience of staff members includes close connections to older adults as caregivers and family members. That experience results in employees who are passionate about the people they serve. Dahl believes Cassia leadership is about seeing each community as a laboratory for learning, where new ways to achieve excellence in care and service may be discovered. “We also believe deeply in designing environments that respect individuals and nurture their creativity,” he adds. Cassia brings together 210 years of experience, touching thousands of lives in Minnesota, Colorado, Florida, Iowa and North Dakota. 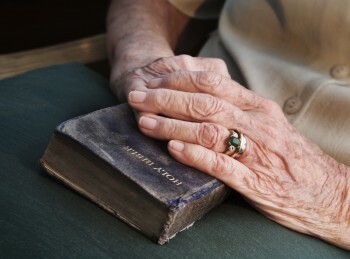 The united efforts of compassionate team members, volunteers, donors and churches have combined to serve older adults in numerous communities over multiple generations. Augustana Care and Elim Care joined together in early 2018 to combine housing options, skilled nursing/health care and community-based services. As respected, well-known leaders in the eldercare field, Elim Care and Augustana Care voluntarily and proactively came together from a position of strength. The partnership will reinforce both organizations’ missions and expand the number of people we can serve. The affiliation also provides more resources for creating new programs and growing existing ones. Together, Elim Care and Augustana Care can identify more opportunities to partner with other senior care providers and health care organizations to address complex medical issues; provide more services; and attract more key leadership talent. 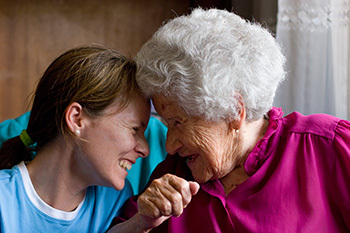 The affiliation also allows us to connect to more resources to keep up with the expectations of current and future residents and changes in assisted living or health care regulations and respond to them. In this first year of our affiliation, there are a lot of “firsts” to share! Welcome to our first gratitude report. We replaced the word “annual” with “gratitude” to remind us every day of how all this is even possible. It is because of you, our supporters, that we can help those we serve. In these pages, you can read about the significant impact you made on older adults in our communities. Another “first” was the decision to pay tribute to donors online, instead of within the printed report—which would have doubled its size. We hope you find the online lists more user-friendly and reflective of a wiser use of funds. ” I love our community and that I can do so much on my own. Who do I connect with?